We are so excited to be collaborating with Bushmills® Irish Whiskey for the return on their #BlackBushStories series which celebrates those creators and inventors who challenge traditional thinking and live outside the box. 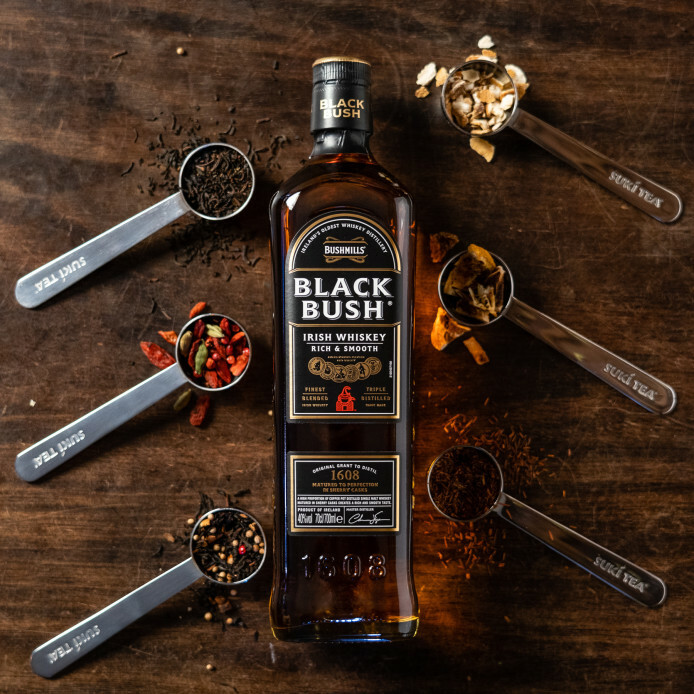 With a mutual pursuit of quality and flavour, Oscar and his team at Suki Tea have collaborated with Bushmills Irish Whiskey to introduce a limited edition, Black Bush inspired, loose leaf tea. Taking influence from the rich, smooth notes of Black Bush, Oscar has created a blend bursting with aromatic, warm spices and a finishing flavour of sweet, dried fruit, mirroring the big robust flavours and velvety smooth character of Black Bush, keep an eye across our Social channels to win your very own Bushmills inspired tea. Oscar said “There’s a huge link between the tea and alcohol industries, which makes the collaboration with Bushmills Irish Whiskey the perfect fit for us. There’s a real synergy between the arts of blending whiskey and tea.” Inspired by the supreme craftsmanship, passion and care that goes into the premium blend of Bushmills Black Bush, we of course knew this was a collaboration we wanted to be part of, after all a passion for tea and a thirst for innovation has made Oscar – who aims to revolutionise tea one leaf at a time – one of the country’s leading entrepreneurs. 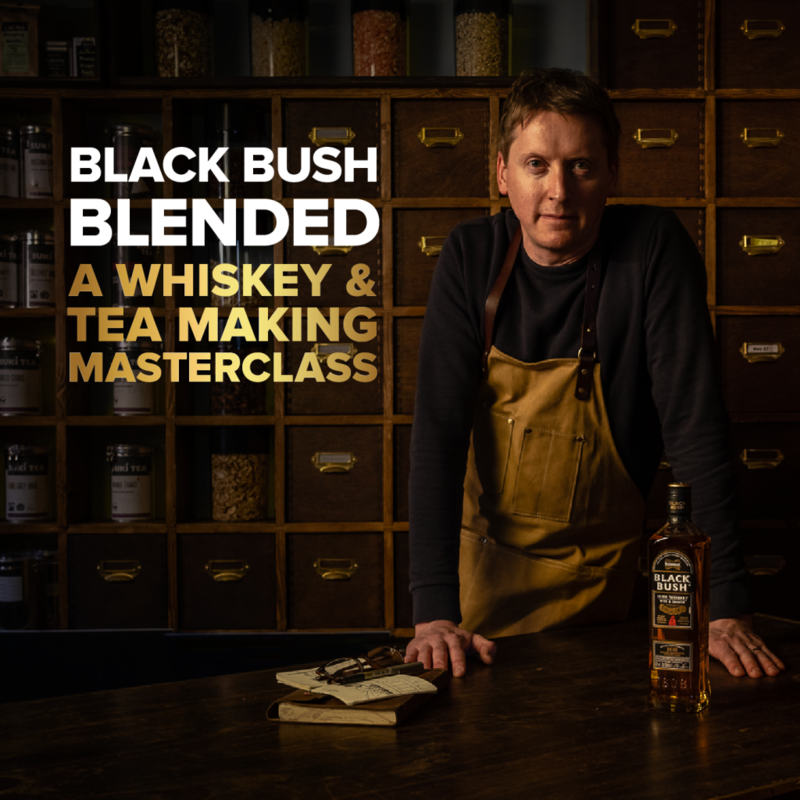 The collaboration sees our co-founder and Chief Leaf Oscar Woolley, join Bushmills to host a series of whiskey and tea blending masterclass events across Ireland throughout April and May. ‘Black Bush Blended’ will offer whiskey lovers an opportunity to truly understand the synergy between the arts of blending whiskey and loose leaf tea. Guests will take part in an educational tasting session hosted by the Bushmills Brand Ambassador on some of Bushmills’ best loved Irish whiskeys, before hearing Oscar’s story on how he turned a love of tea into a career. Attendees will also enjoy a tea tasting session and finish the night creating their own personalised loose leaf tea blends. A number specially created Black Bush drinks, including, of course a Suki tea-based cocktail, will also be served throughout the event. To register for ‘Black Bush Blended’ and to hear more about Oscar and the Suki story, click on any of the dates above and head to the Black Bush Stories website. Stay up to date with #BlackBushStories series, by following the Suki Tea and Bushmills Irish Whiskey social channels. After the special event can you PLEASE make it a full time tea you sell?